Eyewitnesses describe Rio collapse Jump to media player At least 19 people are believed to be missing and three are confirmed dead after two high-rise buildings collapsed in Rio de Janeiro late on Wednesday. 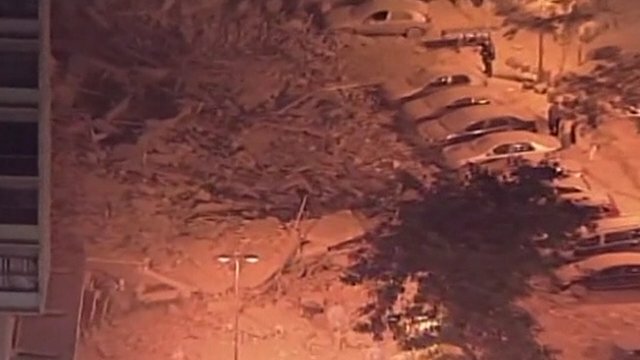 High-rise buildings collapse in Rio Jump to media player Two buildings, one nearly 20 storeys high, have collapsed in Rio de Janeiro, Brazil, filling streets with masonry and covering cars with debris. 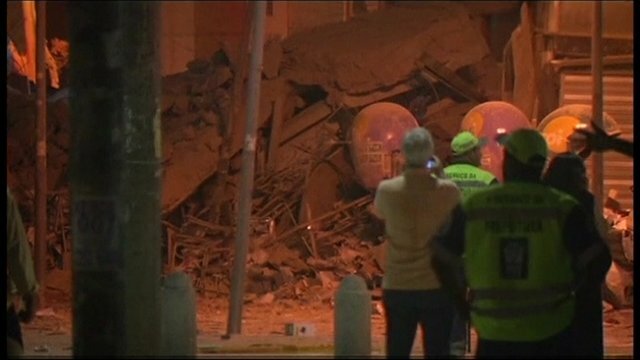 At least 19 people are believed to be missing after two high-rise buildings collapsed in Rio de Janeiro late on Wednesday. 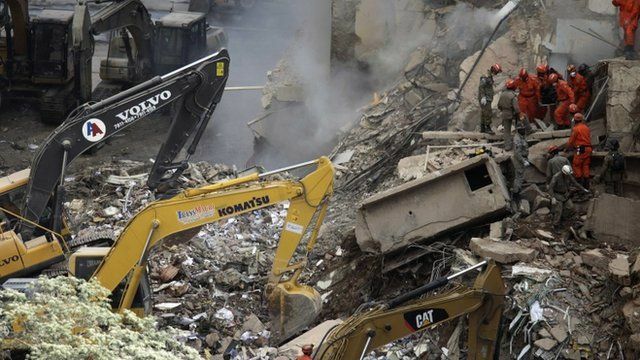 The bodies of three people have been recovered in by rescue workers searching through the rubble. Some of those who witnessed the collapse have been describing what they saw.